Our labor force is one of our greatest attributes. 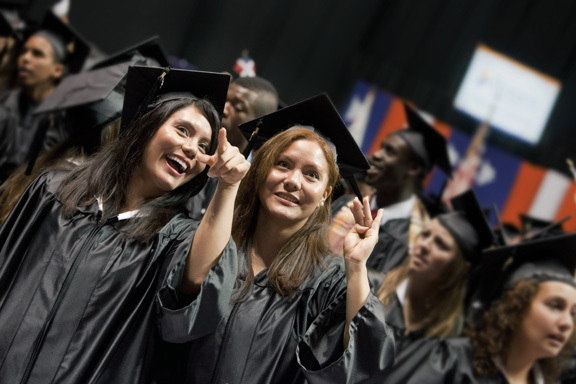 According to the 2010 U.S. Census Bergen County's percentage of adults with a college degree or higher is 44.2%, which is 10% higher than the national average. Our sought after colleges and universities continue to enhance and tailor curriculum to educate the workforce of our future for our growing companies. Bergen County communities offer a diverse mix of public and private educational opportunities. The county has 265 public schools and 134 non-public schools, including Bergen County Technical Schools. Owned and operated by Eastwick Education, HoHoKus School of Business and Medical Sciences is just 12 miles northwest of New York City, featuring a fully equipped medical laboratory, as well as expansive computer labs. Programs can often be completed in as little as four months, allowing you to receive quality training and start a job in your chosen career as quickly as possible.